Home Can You Freeze? Can You Freeze (Homemade) Fudge? Say the word “fudge,” and the wonderful sweet treat puts a smile on the face. Everyone’s got a favorite too. Maybe yours is penuche, chocolate, vanilla, peanut butter, salted dark chocolate, maple walnut or another. 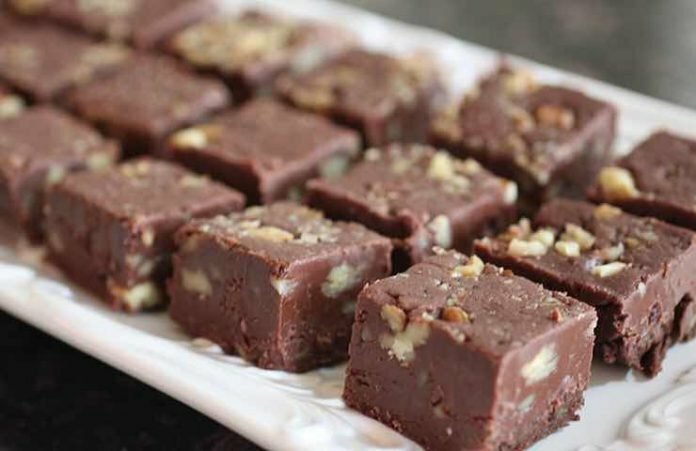 Okay, so we all know that fudge is not the most nutritious food on the block, but it’s sinfully delicious, rich and wonderful at any social gathering and holiday event. Fudge contains fat and sugar but also good antioxidants for the body. One small piece of fudge won’t harm you, and some people enjoy making their own homemade fudge. Why not? You don’t need many ingredients, and fudge is not time-consuming to put together. When it comes to storing it later, you might be wondering how to keep the fudge for another day. Don’t worry because we have the yummy answers to help you. Can you freeze homemade fudge? Yes, you can freeze homemade fudge by following a few rules to ensure perfect storage. For instance, proper wrapping plays a key role. Make sure your homemade fudge is cool or at room temperature as your begin the freezing process. Do not use the freezer’s inside door shelves to store your fudge candies because this portion of the freezer offers a warmer spot of storage. Another tip to remember is not to use a cardboard container for freezing fudge. The fudge could actually absorb the scent of the box. Either use a large resealable freezer bag or a plastic air-tight container to place your homemade fudge pieces in. This type of packaging will prevent ice crystals and freezer burn from happening. Also, individually wrap your fudge pieces with plastic wrap first, to seal in all their sweet goodness. Use a double wrap of plastic and wrap tightly. Then place the homemade fudge wrapped pieces in the airtight container or freezer bag. If storing in layers in a container, candy experts strongly recommend separating each layer with wax or parchment paper. Can you freeze fudge made with condensed milk? Yes, you can freeze fudge made with condensed milk and have successful results. Remember, it’s all in the packaging as we have explained above. One way some people freeze fudge made with condensed milk is with three items. First, wrap the fudge in cling wrap or plastic wrap. Next, wrap the fudge pieces in aluminum foil, and lastly, pop them into a large freezer bag. “Press” the air out, and seal the bag, and place it into the freezer for another time. Most folks claim that when the frozen fudge has thawed, it tastes exactly as fresh as the original in texture, flavor and consistency. Can you freeze fudge to set it? No, you cannot freeze fudge successfully to set it. Sure, you could try it and hope for winning results. Candy experts say, however, that a failed fudge can be re-worked and then popped into the refrigerator to set. For example, if your fudge has failed to harden, something went wrong at the mid-way process. The pros advise beating in some powdered sugar (confectioners sugar/icing sugar) and beating it well until the soft fudge gets firm. Don’t go crazy with the powdered sugar, or you could end up with dry, crumbly fudge. 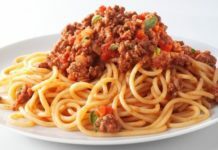 How unappetizing is that? 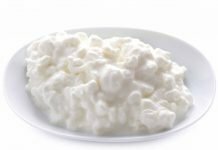 You could also try re-heating the fudge and adding a little evaporated milk or cornstarch and water for more consistency and then beating it even more when it cools down. If all that flounders, then some people create delicious truffles or chocolate bark out of their failed fudge that stubbornly won’t set, even in the freezer. How long does frozen fudge last? Frozen fudge, when properly wrapped, should last for several months. So, when you’re in the mood to indulge, take the wrapped fudge pieces from the freezer and leave them at room temperature for about two hours. Yes, it’s really that easy to do. A sheen of moisture may form on the surface of the thawing fudge. That is called “sweating.” Once the sheen is gone, the fudge is ready to eat and enjoy. If your family and friends are fudge fanatics, these sweet treats won’t last for very long. Previous articleCan You Freeze Zucchini? 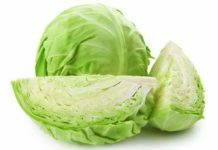 Next articleCan You Freeze Cabbage With And Without Blanching?